Lieutenant Colonel T«G, Fowls, HBF!. which he was quite willing to do. 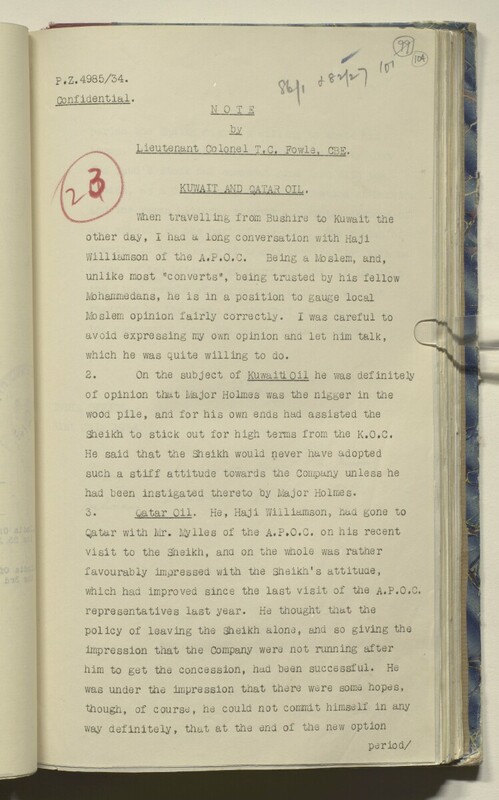 Sheikh to stick out for high terms from the K.O*C.
had been instigated thereto by Major Holmes.